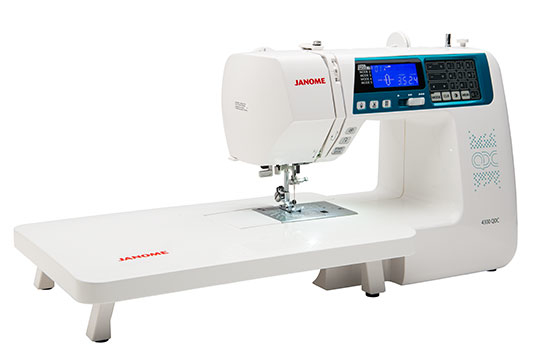 Home > Sewing Machines > Janome Sewing Machine >Janome 4300QDC Computerised Sewing Machine. Normally £599, Save £100. 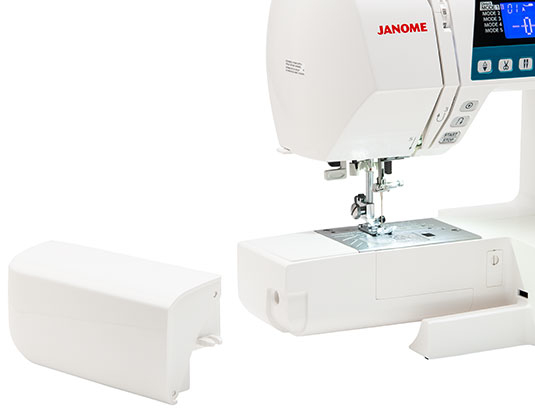 The Janome 4300QDC is a fully computerised product with stitches and settings at the touch of a button. Simple and easy to operate, no fuss threading with the auto needle threader and quick set bobbin. 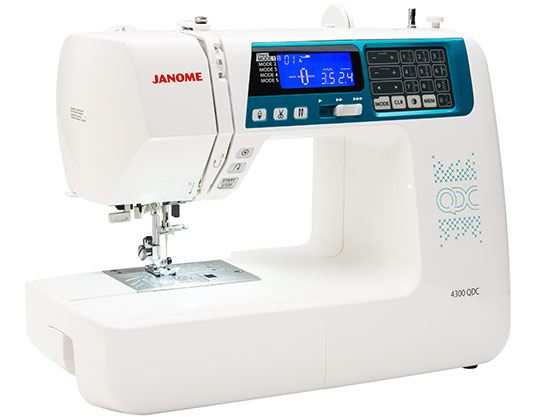 With sturdy construction and steady feeding, although portable enough to take to classes, style follows substance in the well-equipped and intuitively designed Janome 4300QDC. 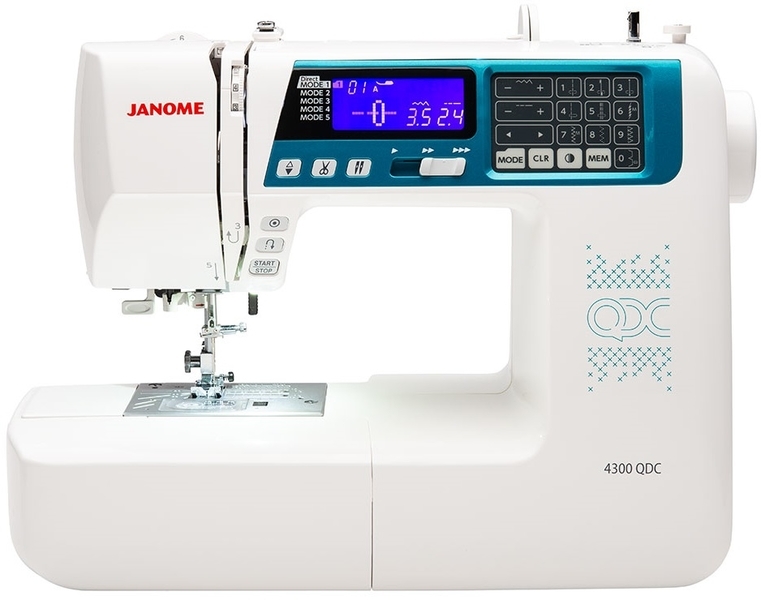 The 4300QDC has plenty of easy to use features to make sewing a pleasure, such as 300 built-in stitches including 12 buttonholes and alphabets for creating various projects. 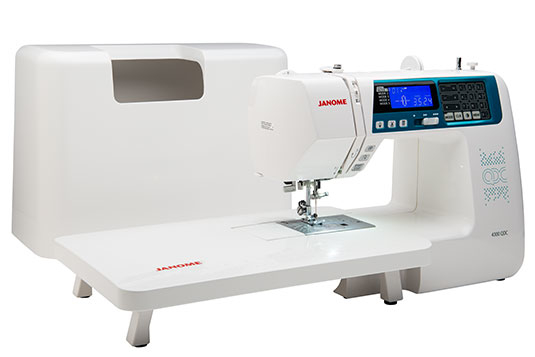 Twin-needle functionality, superior editing, and mirror stitching are just a few of the cutting-edge features of this special machine. 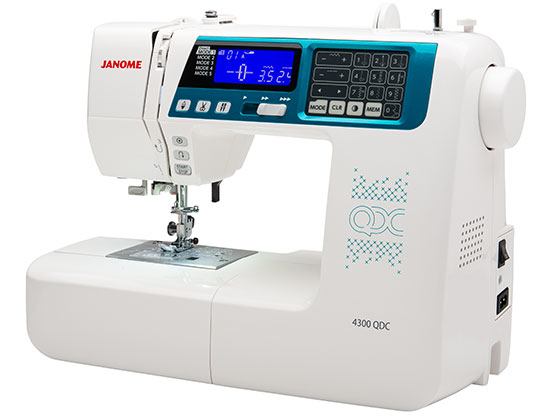 The Janome 4300QDC has the power, precision and convenience you need to realize your creative potential. 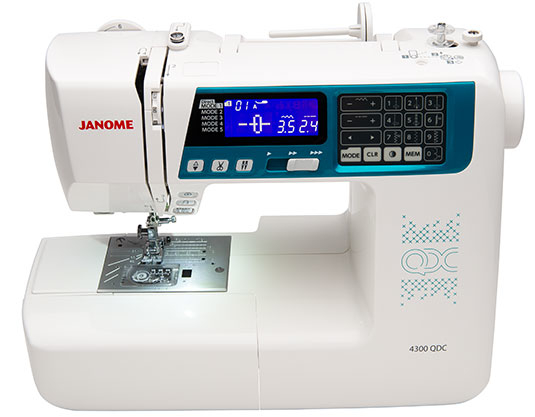 The Janome 4300QDC is an ideal machine to improve your sewing skills and it's suitable for both beginner and more experienced sewers. 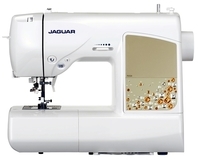 300 Built-in stitches - All the essential stitches for dressmaking, quilting, crafting and home furnishings plus more. 12 styles of auto 1 step buttonhole - It’s so easy, just pop in the button and the buttonhole is created to the correct size! Start/Stop button -Long seams just need guiding, great for anyone who doesn’t want to use the foot control. Maximum speed controller -Helps build confidence and maintain an even speed. Foot pressure adjustment-Whatever fabric you are sewing you can adjust the pressure, especially helpful when sewing with pile or delicate fabrics and turning corners with applique. 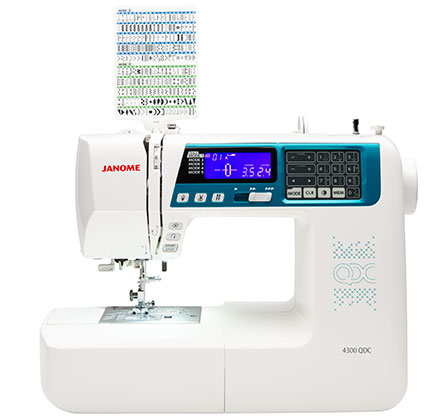 I bought this Janome 4300QDC item at GUR’s showroom and therefore was an instant buy with little research done! However, I totally love it. This item impressed me with the number of stitches provided for the £499 price. The item is quieter than any I have used before (my old brother!) and manages with thick quilts and fabrics with ease. 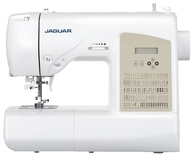 This item is flexible; it can be used for simple sewing projects but is also accurate and robust enough to cope with larger and trickier designs. The item has never given me any trouble so far and it’s so simple to use. I definitely won't be changing this for another item!